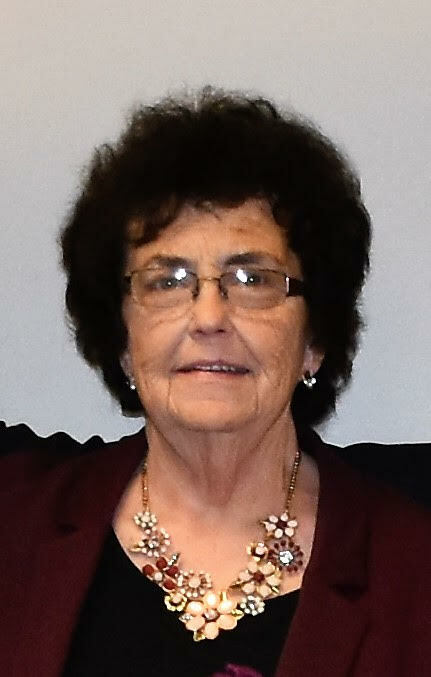 Mary Ann Logsdon, age 76, of Versailles, Illinois passed away at 2:35 a.m., Sunday, January 27, 2019 at Culbertson Memorial Hospital in Rushville, Illinois. She was born in Quincy, Illinois on August 30, 1942, the only child of John Harold and Loretta Clara Wort Fitzsimons. She married William Robert “Bob” Logsdon on June 30, 1962 in the St. Mary’s Catholic Church in Mount Sterling, Illinois, and he survives. She is also survived by four children Jeff (Wendy) Logsdon of Pekin, Illinois, Susan (Nick) Giacobbe of Wilmington, North Carolina, Lisa (Jeff) Seay of Paducah, Kentucky, and Lori Logsdon of Western Springs, Illinois; five grandchildren: Katelyn Logsdon, Collin Logsdon, Ryan Giacobbe, William Seay, and Fletcher Dixon; many nieces and nephews; and her beloved friend Charlotte (Ed) Scott and their children Colten and Janessa. She was proceeded in death by her mother, father, and her beloved second mother and childhood caregiver Louise Redmond. Mary Ann attended St. Mary’s Catholic School in Mount Sterling, Illinois and Quincy Beauty Academy in Quincy, Illinois. She was a member of the Holy Family Catholic Church in Mount Sterling, the Marilyn Monroe Fan Club of Daisy, Illinois with her childhood best friend Christine Hoffman, the Independent Order Of Odd Fellows, 17 Idelle Rebekah Lodge in Versailles, Illinois, the National Reamer Collectors Association, a 4-H leader (The Versailles Rough Riders), a founding member and director of the Versailles Genealogical and Historical Society, and served on the Versailles Town Board as well as countless area organizations and committees. Mary Ann was employed as a beautician in her youth and later worked at the Heritage Manor Nursing Home and served for over 20 years as seasonal employee of Burrus Seed Company. Mary Ann had a incredible gift for writing and a profound ability to tell a great story. She authored over a dozen books that focused mainly on local area history, genealogy, and family biographies. At the time of her death she was working on a book of humorous personal anecdotes. More than anything Mary Ann loved her family and having her children and grandchildren gathered around her was her greatest joy. A memorial prayer service will be held at 11:00 a.m. Friday, February 1, 2019 in the Hendricker Funeral Home in Mt. Sterling with Deacon Mike Ellerman officiating. Memorials may be made to the Versailles Genealogical and Historical Society.